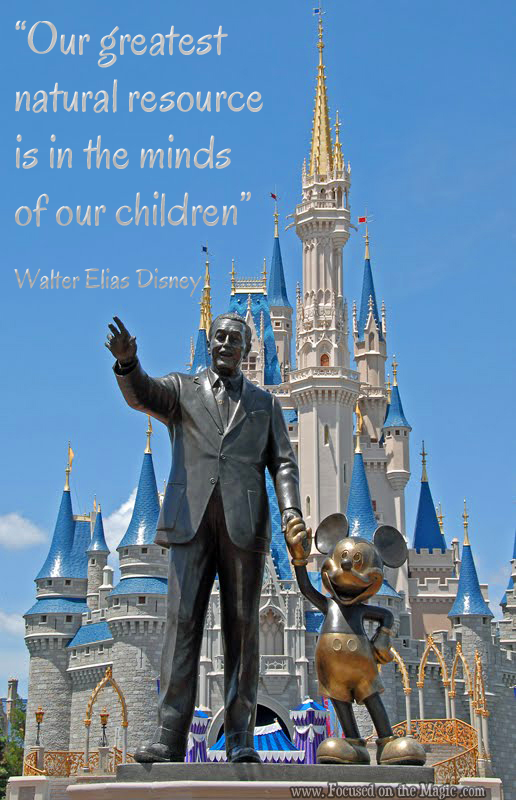 For this week’s Destination Disney in Quotes, we’re focusing on a famous quote from Walt Disney himself. Note he doesn't say Don't worry or It'll be alright. He had learned through his own struggles that sometimes we just have to stay strong and deal with whatever comes our way. Just last month I was reminded of this quote during Hurricane Sandy. There were power failures, long lines at the gas pump across the Atlantic coastline. The situation for many of us was and still is grim. I can only hope that we will look back on it and have learned life lessons to take forward. I know our family has learned a lot about ourselves already. Another quote that I really like. 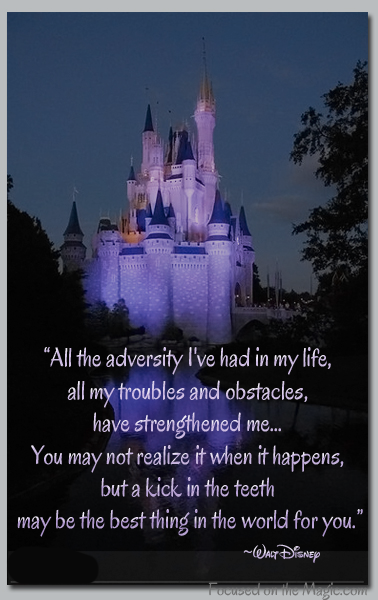 PERFECT thoughts on this quote by Walt! Wouldn't it have been so neat to have had the opportunity to meet him? That which does not kill you makes you stronger. Period. I am happy to be a part of the blog tour and helping the surviving families of hurricane sandy! Thanks for the link! Its nice to have a easy up to date place to go to help and hear the lastest updates! Love your blog and the great Bailey's contest! Thanks Heidi! Bailey's Creamers are so good. I like to get them for special occasions. Good Luck in the contest!! Walt was and still is incredibly inspiring. Thank you for sharing some of your favorite quotes. I like the positive thoughts. My mom always tells me, "what doesn't kill you only makes you stronger." My response is: "yeah, but I never wanted to be Hercules!" I think sometimes our struggles help us to appreciate the good things in life more. Spin off of the whole "what doesn't kill you makes you stronger" philosophy. Every thing happens for a reason. I am a Christian, so I believe everything is a part of God's perfect plan. I believe those kicks in the teeth Walt is talking about are some of the most uncomfortable but necessary wake up calls to conform us into what we were intended to do, or be. Thanks for all the great stuff you bring to everyone. Thanks for everything! !